Stuck between life and death after a suicide attempt, Alice awakes as a ghost in a morgue. As she watches her family and friends attempt to come to terms with her actions, she learns that her irreversible decision carries a penalty she could never have imagined. A searing and darkly comic exploration of mental health, Dust is a distinctly human work that resonates long after you leave your seat. 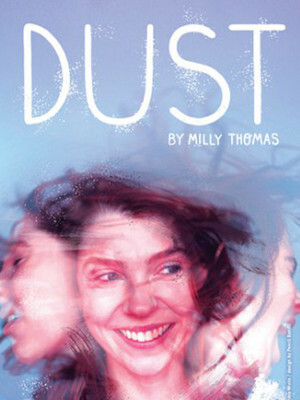 A sell-out at Edinburgh Fringe 2017 and at its Soho Theatre engagement, Dust, written and performed by Milly Thomas with direction from Sara Joyce, now comes to the Trafalgar Studios for a limited run this autumn. Both bold and timely, this stunning play is likely to be one of 2018's highlights, with Thomas being one to watch over the coming years. Seen Dust? Loved it? Hated it? Sound good to you? Share this page on social media and let your friends know about Dust at Trafalgar Studios 2. Please note: The term Trafalgar Studios 2 and/or Dust as well as all associated graphics, logos, and/or other trademarks, tradenames or copyrights are the property of the Trafalgar Studios 2 and/or Dust and are used herein for factual descriptive purposes only. We are in no way associated with or authorized by the Trafalgar Studios 2 and/or Dust and neither that entity nor any of its affiliates have licensed or endorsed us to sell tickets, goods and or services in conjunction with their events.